Is it just us, or does it feel like denim trends have been moving in and out of style at a quicker pace than usual? From cool new trends like two-tone jeans and layered styles, the rotation of denim trends seems to be greater than ever before. Of course, that doesn’t mean we don’t turn back to some of our beloved tried-and-true styles from time to time. 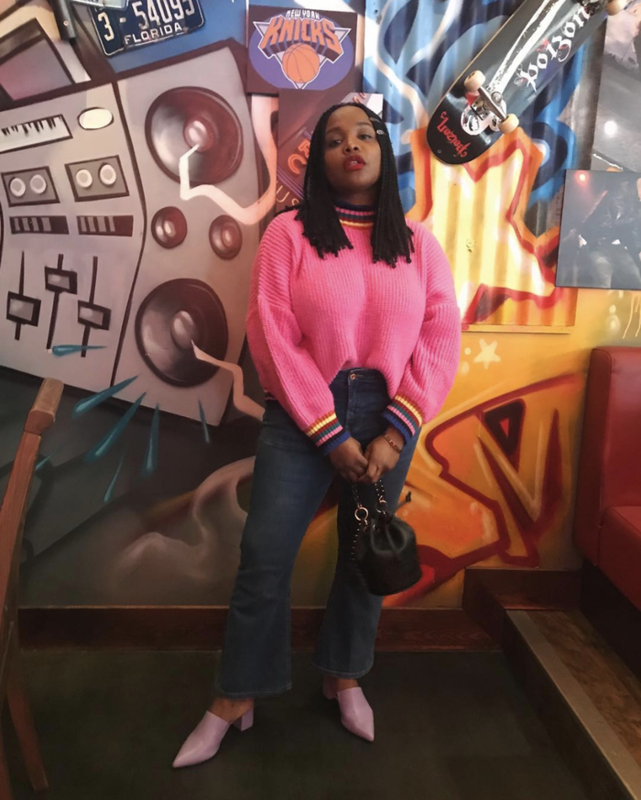 While we’ve completely returned to the vintage-inspired cotton denim, fashion girls have also been wearing outfits featuring another timeless denim trend—bootcut jeans. We last saw the bootcut jeans having their true heyday during the ’90s, amid the low-rise jean phase, but they’ve gotten an update since the iconic decade. From chic cropped iterations of the trend to slightly more streamlined silhouettes, the latest takes on the look are proving that the old-school style is here to stay. Not convinced yet? Scroll down to see how our favorite It girls are wearing bootcut jeans this season. Wear your bootcut jeans with a pair of easy mules and a bright sweater. We're seeing neon everywhere this season. You can't go wrong by styling your jeans with a faux-fur coat. You can't have too much leopard print right now. Get creative and style your step-hem bootcut jeans with a dress layered over them. A step hem is so interesting. You'll never go wrong styling a printed blouse with your bootcut jeans. Faded black is so cool. A faux-fur jacket will easily make your bootcut jeans seasonably appropriate. Contrast black jeans with a light peach sweater. A puff-sleeve blouse will look so chic with black bootcut jeans. Layer a couple jackets on top of each other for a cool-girl vibe. You'll feel so cool wearing this. You'll never go wrong with a denim-on-denim combination. Dress up your jeans and T-shirt with a cool blazer. Step up your blazer game with this. Who doesn't love a pair of cool gray jeans? Your bootcut jeans will feel so much more formal when paired with a chic faux-fur coat. These will look great with anything. Or, keep it on the casual side with a classic trench coat over your jeans and a sweater. Let your jeans be the focus of your outfit and wear them with white or beige pieces. We'll always love a teddy coat. Whether you wear them with boots or not, these jeans will be staples in your closet.